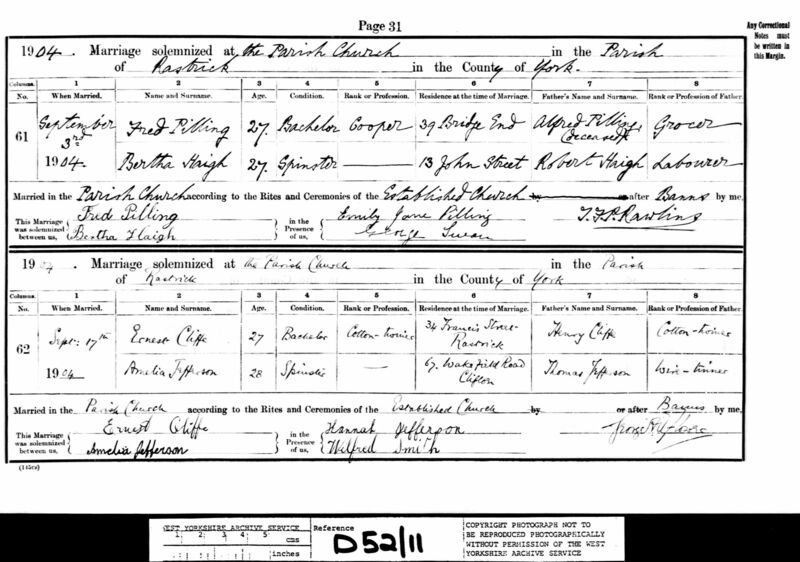 [S880] Website Ancestry (www.ancestry.co.uk) "West Yorkshire Archive Service; Wakefield, Yorkshire, England; Yorkshire Parish Records; New Reference Number: WDP12/12." GRO Reference: 1895 J Quarter in MACCLESFIELD Volume 08A Page 150." Smith John Macclesfield 8a 159." GRO Reference: 1896 S Quarter in MACCLESFIELD Volume 08A Page 144."